The Central Coast of British Columbia, Canada, approximately encompasses the coastal area between the northern tip of Vancouver Island and the southern tip of Haida Gwaii (referred to as The Queen Charlotte Islands on some maps). The area includes the mainland environment, the many islands, and the coastal waters along this section of the BC coast. The following Google Earth map shows the Central Coast; zoom in to view the area in more detail, and click on the coloured placemarks for some location names and information. A link to a larger map is available below this one. An excellent interactive map of the Central Coast can also be found on the Qqs Projects Society website. While this area of the coast is remote, it is by no means uninhabited. The communities found along the Central Coast include Bella Bella, Bella Coola, Ocean Falls, Denny Island, Oweekeno, Koeye, Shearwater, Rivers Inlet, Namu, and Klemtu. Read more about these communities on our Communities of the Central Coast page, find them on the map above, or visit the Central Coast Regional District for more information. The Central Coast is also home, permanently and temporarily, to many researchers and research initiatives, including the Hakai Institute. 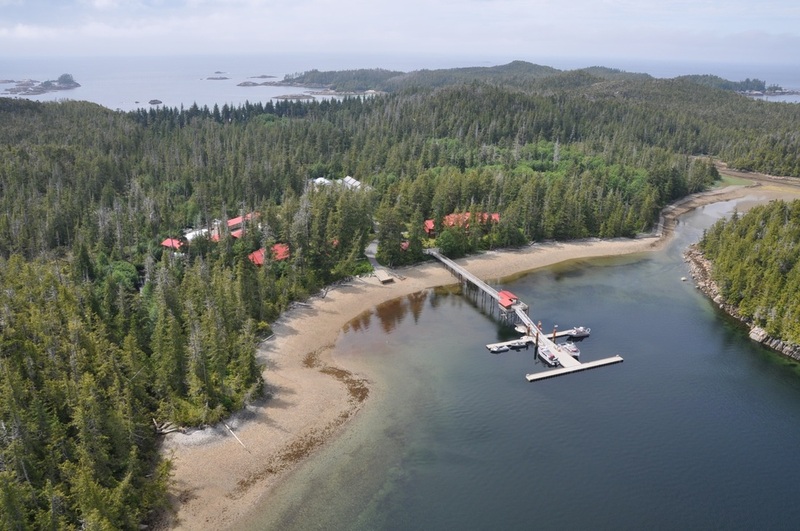 Hakai is located in Pruth Bay on Calvert Island, and is privately owned and operated by the Tula Foundation. The northeastern half of Calvert Island, where Hakai is situated, is part of the Hakai Luxvbalis Conservancy (coloured green below). This conservancy is the largest marine reserve on BC's coast. The southern half is protected as the Calvert Island Conservancy. Read more about the Hakai Institute at hakai.org, and use the map below to find Calvert Island's location on the Central Coast.